Thanks to Paul Western-Pittard for posting my author interview on his authors. books, interviews and writing blog: ‘That Thing I Said’. 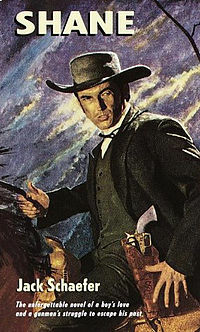 And now he’s riding onto your Blu-Ray player (at least in his Alan Ladd incarnation) on June 4th 1953 in time to celebrate the 60th Anniversary of George Stevens’ classic western movie based on my favourite western novel of all time – ‘Shane’ by Jack Schaefer, published in 1949. 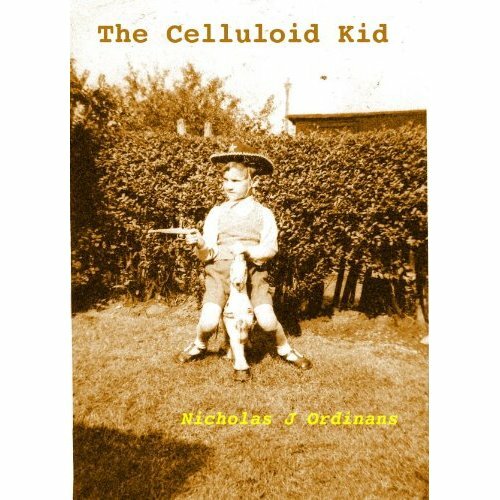 My first reader response to ‘The Celluloid Kid’ has been posted on Amazon. 5 stars and very complimentary review. Thanks very much! The title caught my attention with this book, but the writing and the strong story kept it. Trevor, to me at least, is every teenage boy in the 21st century who has not been allowed to rough house and be boys, but instead are holed up in their rooms, playing video games and watching movies. The real world is boring in comparison to the one created by Hollywood and game consoles. Trevor’s mettle is tested when robbers hold up his bank branch. Can he indeed be the hero he has secretly dreamed he can be? This thought provoking book is well written and thoroughly enjoyable. I highly recommend it!